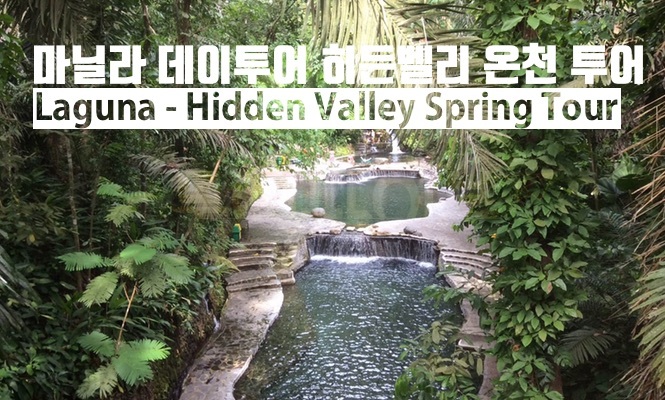 Enjoy the enchanting Hidden Valley and take a dip in its naturally heated volcanic water pools as you marvel at its lush natural vegetation and rare collection of exotic flora. - Hot spring swimming pool with nature! - An old noble house with well preserved native forest! - A tour where you can enjoy forest bathing and hot spring bathing at once! - You can enjoy hot and cold water for male/female. - When the payment is completed, the reservation for the tour is completed. You can receive your voucher by email within 12 hours. - If you have not received your voucher by e-mail within 24 hours, please contact us at our Customer Center at 1661-2372 or your friend "Tour Five" of KakaoTalk Plus. - If you do not wear a bathing suit, you will have limited access. - Towels are not available for rent. Please bring them in advance. - Children are allowed up to 8 years old. Children are charged only when accompanied by two or more adults. - If you would like to stay, please contact us. - Before lunch, we recommend you to play at the nearby pool. It is a good idea to go to the waterfall behind and enjoy your time. - On the way back to the hotel, ask the driver to hear the "Original buko shop"! You can enjoy the coconut pie which is special. 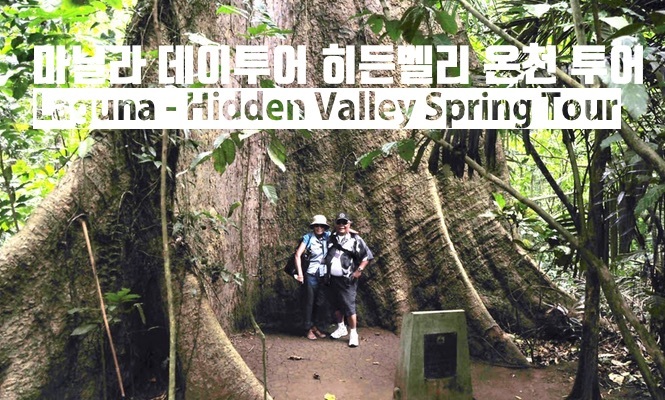 - There is no Korean guide, and a local Driver will help you with the tour. - After booking, you can present your voucher to the ticket office. Take a dip in the tropical forests and natural hot springs, and visit the Philippine aristocratic villa! 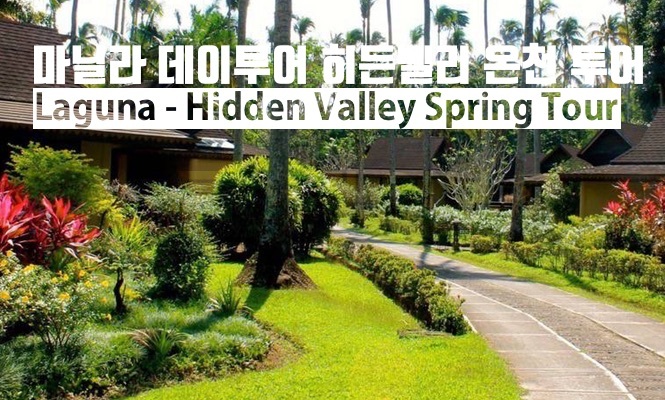 Hidden Valley Spring Resort (Hidden Valley) is located in the Laguna area, 78 kilometers south of Manila. 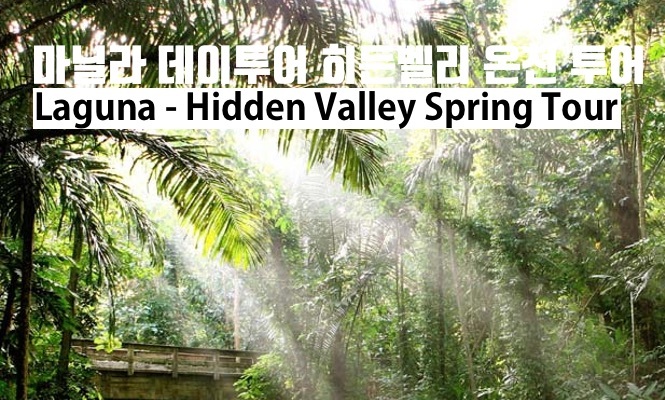 Hidden Valley was first discovered in 1923 and was the private residence of the first President of the Philippines. It was opened to the public in 1972. It boasts a whopping 110 acres (acre) in size. It has a total size of 135,000 pyeong and has a natural environment that is not lost at all. Hundreds of different tropical plants are densely populated and huge trees, called primeval forests, rise high into the sky. It is a place that remained as it was thousands of years ago. Mt. Makiling and Mt. Banahaw are located in two giant mountain cliffs. 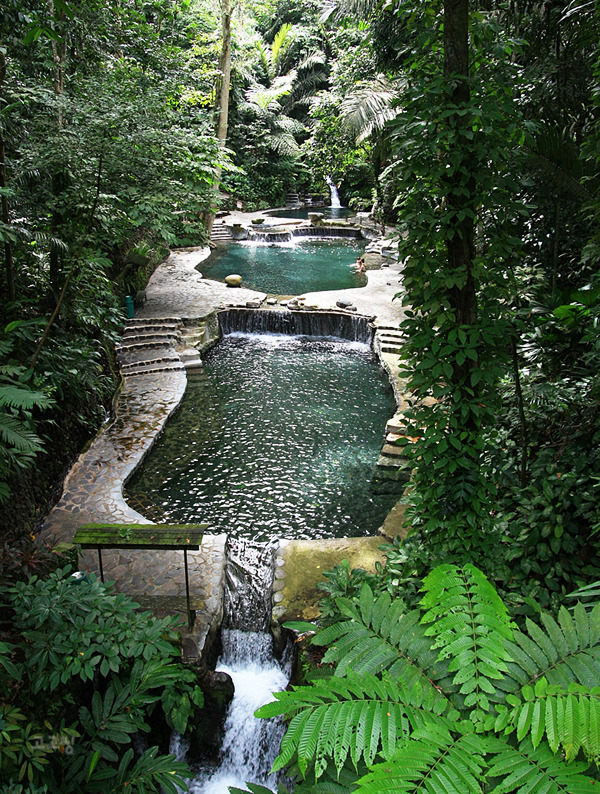 They have traditionally been a place of legend and folk song, and have a natural swimming pool with many hot springs. It is open to the public. It is just a place to be. Now, we can also visit the Hidden Valley and get healing. The natural pool, made up of hundreds of hot springs, is not as hot as the hot springs of Korea, but it is good to drink in the lukewarm. Hidden Valley has a total of 6 spa pools, 2 children's pools and 3 natural jacuzzis. Natural hot spring water is good for our skin and health. The first time you step into the Hidden Valley, you will fall into the illusion of coming to the botanical garden. It is a place to have a reverent heart for nature without knowing it in a lush forest. It is a place where you can put it in a picture, but it is also a place where you can fall into the illusion that you are in a movie of Jurassic Park. The height of the tree is so brilliantly high and big trees make us small. - 개인 부주의로 발생된 사고는 책임지지 않습니다. - 여행자 보험은 개별적으로 가입하셔야 합니다. 투어파이브 역시 여행자보험 판매 대리점으로 저렴한 가격에 판매 중입니다.